What does one make of the fact that al-Sisi's government discriminates against and persecutes Copts? After waiting 44 years, the Christians of Nag Shenouda were issued the necessary permits to build a church in 2015. According to a report, local Muslims rioted and burned down the temporary worship tent the Copts had established. When a Christian tried to hold a religious service in his home, another Muslim mob attacked it. Denied a place to worship, the Christians of Nag Shenouda celebrated Easter in the street. Also, after waiting years, the Christians of Gala village finally received formal approval to begin restoring their dilapidated church (see pictures here). Soon thereafter, Muslims rioted, hurling stones at Christian homes, businesses and persons. Christian-owned wheat farms were destroyed and their potato crops uprooted. The usual Islamist slogans were shouted: "Islamic! Islamic!" and "There is no god but Allah!" Another church under construction in Swada village, Minya, was attacked by a mob consisting of at least 400 Muslims (possibly incited by local officials, no less). After the attack, and although the church had obtained the necessary permits required for construction, it was closed by the same officials. Although comprising approximately 35% of Swada village, the 3,000 Coptic Christians there do not have a single church to serve them. As in the most recent case from Giza, Muslim judges in all of the above incidences—and there are many more—gave Muslim vandals and rioters at most a "slap on the wrist," while forcing the victims to pay penalties and sometimes even serve jail time. These cases are consistent with the findings of the World Watch List 2018, which ranked Egypt the 17th worst nation in the world to be Christian. It found that "officials at any level from local to national" are "strongly responsible" for the "oppression" of Egypt's Christians. "Government officials," the report adds, "also act as drivers of persecution through their failure to vindicate the rights of Christians and also through their discriminatory acts which violate the fundamental rights of Christians." While the authorities themselves are sometimes the persecutors—as when Muslim soldiers beat several Christian soldiers to death on account of their faith in July 2017—they more often function as enablers, allowing a culture of impunity to thrive. 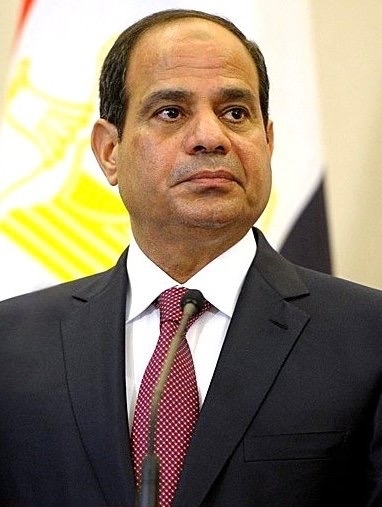 All this again begs the question: It may be understandable that al-Sisi cannot eliminate terrorism since terrorists operate surreptitiously "in the shadows". But are we to believe he cannot do anything about his own civil servants (from local police and authorities to top department heads and courtroom judges) who persecute Copts right under his nose?